In the 1960s, in the depths of the Cold War, the world was viewed in terms of a zero-sum game: wherever the USSR won, the U.S. by definition lost. The People’s Republic of China (PRC), despite its massive size, was considered to be the Soviets’ little brother and thus not a real player. The State Department and others were hesitant to improve relations with China as they believed it was more important to focus on the Soviet Union which, after all, was a nuclear superpower. 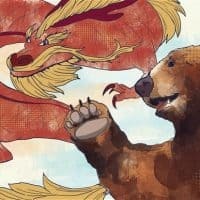 Cracks in the USSR-China relationship then began appearing, which led President Richard Nixon to pursue improving ties with Beijing, a move which drastically altered the dynamics of the trilateral power game. 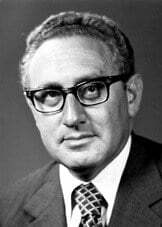 National Security Advisor Henry Kissinger took a secret trip to China in 1971, which paved the way for Nixon’s historic trip to China on February 22, 1972. The new dynamic led to some odd results, such as when Washington was able to agree with Beijing that the USSR was a mutual problem. Or when General Secretary of the Central Committee of the Communist Party Leonid Brezhnev slipped Nixon a proposal for a semi-alliance between the U.S. and the Soviet Union against China. Helmut Sonnenfeldt was on detail from the State Department to the National Security Council while these negotiations were taking place. Because he was a Soviet Union specialist, Sonnenfeldt had a unique perspective about the United States’ relations with the Soviets and how they would be altered if ties with China were normalized. Sonnenfeldt was also a close personal friend of Henry Kissinger and aided him during this critical time. His interview was conducted by Charles Stuart Kennedy beginning in July 2000. For more on the early days of the Sino-Soviet split. Go here for Sonnenfelt’s account of his childhood in Nazi Germany. Read other Moments on China and Kissinger. SONNENFELDT: I had very little direct involvement in the actual opening to China when it began concretely with the secret Kissinger trip to Beijing in the summer of 1971. I had had some involvement in discussions early in the Nixon administration, when there were thoughts that had been foreshadowed by Nixon’s famous article in Foreign Affairs in 1967 [before he was President]. In early 1969, there were thoughts about how we go about getting some more flexibility in our policy toward China, and get more contact with them. One of the National Security Study Memoranda was sent out by the NSC [National Security Council] staff to the various government agencies involved. Several weeks of study produced very modest recommendations because, in fact, the State Department (in general and traditionally) was extremely reluctant to get involved with the Chinese; they were focused on the Soviet Union. State didn’t object — in fact, they couldn’t object — to years of rather formalistic, ritualistic contacts that we had with the Chinese through our ambassadors in Czechoslovakia and then in Warsaw and one or two other places; but they were not eager to do much with the Chinese. They also de-briefed the Soviets on those contacts, to assuage their suspicions. So the agencies came up with some very modest ideas, but they were certainly not eager. But there were some mild signals sent from the U.S. to the Chinese. The one I’ve always liked involved an issue of importing Chinese pig bristles for shaving brushes. That was banned by American trade legislation at the time. One of the so-called signals that was sent early on in the Nixon administration was to lift the restriction or to reduce the tariffs on pig bristles. Kissinger and Nixon were not only secretive toward the rest of the government, but within the White House staff setup and the National Security Council staff setup, there was a good bit of compartmentalization. Actually, several of us were in San Clemente [Nixon’s “Western White House” in Southern California] with Nixon in the summer of 1971 when the announcement was made that Kissinger had been in Beijing and was coming back to give a press conference there. After Kissinger had finished with his China visit, I put together some things that hadn’t made sense to me before that; and I realized what was going on. From my own standpoint regarding our relations with the Soviet Union and the reaction of the Soviets, the relationship between China and the Soviet Union really was very difficult and very bad. In fact, they had almost come to blows less than two years earlier with the Ussuri River and border issues. They kept up the polemics: there were major differences between them on the Vietnam War; the Chinese interfered with Soviet military supplies going through China to North Vietnam, and so on. So their relationship was really pretty bad. My own sense of it was that if something was going to develop with China, we couldn’t really tell at the time, even though Kissinger’s talks in Beijing had sort of laid out an agenda and prepared for a Nixon visit. The President’s trip to China took place in February of 1972, while we were also working on the first Nixon-Brezhnev summit. My feeling was that this contact with China would give the Soviets something to think about; that maybe they couldn’t rely much longer on a situation of major hostility between the U.S. and China; and that this could be of some help in getting the Soviets to play ball on some issues that we were interested in. That was rather a simple-minded view of this emerging triangular relationship, as it was later called. Looking at that Chinese-Soviet relationship was a major matter in the intelligence community. Donald Zagoria, one of the CIA’s leading experts on China and on China-Soviet relations, had written a study at CIA in the late 1950s which collated a huge volume of material, mostly public material, but also inferences from what was happening in Sino-Soviet relations. That was eventually declassified and published as a book and caused quite a stir. His was the first major study on Sino-Soviet tensions and frictions and potential enmity. It was very controversial because it ran right against the standard theology that Marxists may quarrel, but they stick together. All through the ’60s, when I was still in the State Department Bureau of Intelligence and Research and running the Soviet Research Office there, we spent a lot of time tracking whatever we could in Sino-Soviet relations. It was obvious that they were getting worse, and it became quite public in what they were saying to and about each other. Now in policy terms, what that meant for us in the Johnson administration, was that there was still some skepticism about how far the Sino-Soviet rift was really going, and considerable reluctance to even think very much about the policy implications of it. 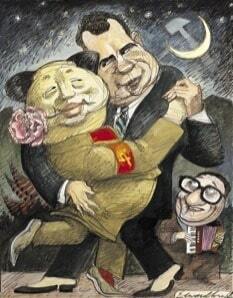 The Sino-Soviet rift really became a central question only when Nixon became President. He had already written publicly about it. Kissinger hadn’t said anything very much publicly about Sino-Soviet relations, but it was obviously something that appealed to both of them. Without the profound Sino-Soviet tension — friction, conflict, division, gulf, rift, whatever you want to call it — then almost coming to a serious military clash, which posed all sorts of issues for the United States in 1969, I think on the policy side, the implications for American interests and American policy were not, in my view and certainly not in my recollections, seriously addressed until the Nixon people came in. It was also controversial in the country here, because it was mostly interpreted that Nixon was really seeking a way to get out of Vietnam somehow. He wanted to break open that alliance and maybe to get Chinese help in that since the Soviets didn’t seem to mind our being stuck in Vietnam. By 1969, the Sino-Soviet relation was becoming a major issue. And of course, their cover had been blown; the Sino-Soviet tension was now semi-public. Not every part of it was public, but in 1971, the fact that Kissinger had visited China was made public. At that point, it was a major issue of discussion. There were people in the Congress who were skeptical about China. There were still theories that the apparent conflict was all a big snow job that the Soviets and the Chinese were putting on to lure us into whatever flawed policy we would then conduct. The opening to China wasn’t just a Soviet-related initiative. It also had to do with the fact that China was a big country and was someday going to be a major actor, but we were on opposite sides of the Pacific Ocean, so we needed to have contact with them. It wasn’t only the tactical considerations involved in Vietnam or an effort to get more room for maneuver in our relations with the Soviets. I think there was an underlying view as well: that is, that the U.S. really cannot do well in world politics, and in particular, in advancing its Pacific region policies and interests, without having some kind of relationship with China. We were watching whether the Russians would be suspicious and maybe more difficult to deal with, or whether they were maybe trying to avoid having our relationship with the Chinese become intimate and detrimental to their own interests. They couldn’t tell where the United States was going to be in case some conflict should break out between them and the Chinese. Their relationship was very bad! And it wasn’t getting any better. There had been times in the past when Americans and Soviets were taking tentative soundings of each other about maybe doing something jointly about the Chinese nuclear program. Some of this is in the public domain now because of freedom of information requests, documentation, and other information that has been obtained by historians and experts, and some has been released. But, you know, when Nixon was at the summit with Brezhnev in May of 1972, at the last meeting, Brezhnev slipped Nixon a proposal which amounted to a semi-alliance between the U.S. and the Soviet Union against China. It wasn’t that crude and blunt, but that was the essence of it. It was a proposal on the prevention of nuclear war. Nixon said he’d look at it, and later, after that summit meeting, we worked with it and massaged it and took out the obvious anti-Chinese implications and the anti-Chinese sting. The Soviets were still apparently hoping that they could draw the U.S. into some sort of a de facto alliance or coalition against the Chinese; but of course, by that time, the American relationship with China was becoming more interesting. Eventually, we were able to put some intelligence-gathering equipment in China, especially some devices to monitor Soviet compliance with the nuclear test ban, which had been signed in the Kennedy administration. 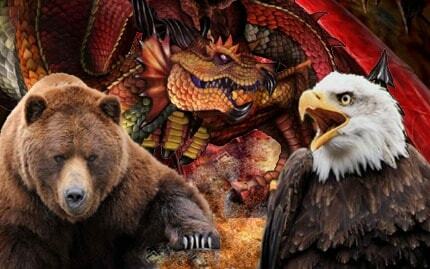 But we and the Chinese more or less agreed that the Soviets were a mutual problem. It had different aspects for the Chinese because they were neighbors, but both we and the Chinese each had difficulties with the Soviets; and therefore, we sought to work together, not crudely, crassly, or obviously, but still working together, to contain the Soviets. I was a little uneasy about the sort of romanticism toward China that developed, not just in the government, but elsewhere in the U.S. There were people in the media, in the Congress, and elsewhere, who raised cautions. They said, “Hey, China is a totalitarian dictatorship; and okay, the Soviets are a big threat, and it makes sense to have some relationship with the Chinese. But it’s a pretty bad lot there, when all is said and done. They’re unreconstructed Communists, and they just took some horrendous actions against their own people” (what would be called human rights violations now), “and they are still committing them,” and so on. I tended to be sober about the new relationship, but then I wasn’t treated to the charms of the Chinese people that Nixon and Kissinger were dealing with until a bit later when I went on a couple of trips to China with Kissinger. Everybody was impressed with Zhou En-lai, the first Premier of the PRC [People’s Republic of China], and also to some extent with Mao Zedong [a Communist revolutionary and founding father of the PRC] and some of the others. Those Americans who started to have contact with them were impressed by their sophistication, compared to the Soviets for example, and their subtleties. It was interesting to me how they differed, in style and their general demeanor, from the Soviets who we were dealing with. But I don’t think I became enamored of the system of the PRC. It was obvious when you set foot in China how regimented the society was: as if everyone was wearing the same clothes, at least in Beijing. The press couldn’t get outside Beijing. It was clear that this was a very tightly-run system in China vis-à-vis the population at large. I believe some commentaries pointed out that this was at least as forbidding and totalitarian a regime as the Soviets. But national interests override these sorts of thing. Those were some of the comments from journalists and gurus in what’s now called the think-tank world, who had their hesitations. I would guess there were similar reactions in the State Department also, maybe less so from the old China hands, who finally could be put to use. Chinese language skills and all the Chinese area knowledge became something that had practical utility, because we set up a liaison office in Beijing and had contacts with Chinese officials on a broader and more regular basis. So some people who had been looking at China from afar or through Taiwan got to be very much in demand to deal with what gradually and steadily became a pretty broad relationship with the Chinese, even though we continued to have fundamental differences with them. .
On the Soviet side, they were uneasy about it. Brezhnev gave us long lectures about how difficult and inscrutable the Chinese were. There was sort of a “yellow peril” aspect to all of this; and he never quite stopped trying to wean us away from the Chinese and reminding us that we had a common interest in dealing with these hundreds of millions of people. The Soviets were keenly interested, and suspicious. They were uneasy and tried to follow what was happening in American-Chinese relations as best they could. I assume their espionage and intelligence apparatus tried to get as much information as they could so that they could get some grasp and grip on just how much substance there was to the American-Chinese relationship, or whether it was just something intended to needle them. As for Brezhnev: I don’t think that there was a serious conversation between Nixon and Brezhnev in which Nixon tried to explain in detail what he was about with the Chinese. It came up, and Nixon, earlier in his term, had made a public statement about the five mutually-balancing powers in the world, which were the United States, the Soviet Union, China, Japan, and Europe. He was remarkable, because of his sense that power balances in the world are the best guarantee for peace. This is a controversial subject in American politics and American historiography. That was what Nixon was saying when, in fact, “balance of power” as a notion was something of a dirty word in this country. It was what the Europeans used to practice and as a result, they constantly had wars. But as Nixon seemed to see it, we were not going to fall into that trap. 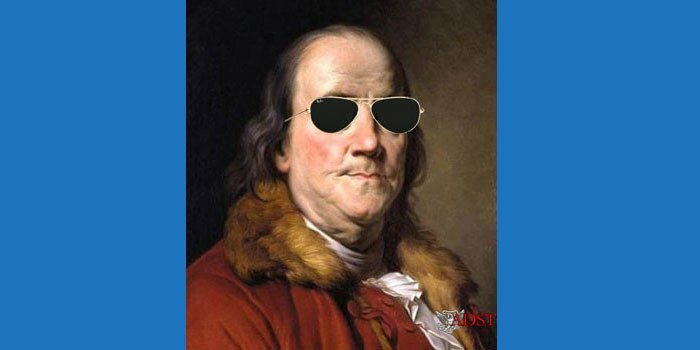 In fact, starting with the American Revolution in the late eighteenth century, we had played a very skillful balance of power game ourselves. But it was a dirty word, and to some extent still is — the “classic balance of power” which produced constant wars. So Nixon wasn’t looking for a unique or special relationship with China, and he wasn’t giving up on having a tolerable relationship with the Soviets in which there was some mutual interest and mutual benefit. After all, the Soviets were the more powerful of the two, and the nuclear giant opposing us. The Chinese at that point were in a very modest stage of their development; so the Soviet Union was the major factor. I think the administration tried to play a cautious trilateral game involving China and the Soviet Union and, hoping to get some benefits in terms of the policies of both China and the Soviet Union toward us. The idea was that we want to have better relationships with each of them than they have with each other. I stayed on the NSC staff with Kissinger longer than almost anybody else. One or two others who were there from the beginning then also moved, as I did, to the State Department when Kissinger became Secretary of State. In 1973, I went to Moscow with Secretary [of the Treasury George Shultz, later Secretary of State under Ronald Reagan] on a trip to meet with [Chairman of the Council of Ministers Aleksey] Kosygin and Brezhnev. The American business community had great expectations about doing business with the Soviets in the petroleum sector and in various other areas as well. So Shultz wanted me to come to the Treasury as Under Secretary. I figured that after spending four-and-a-half years in the NSC staff, it would be a good move for me — in fact, better in many ways than I might expect as a career guy [civil servant]. I checked it with Kissinger, who wasn’t enthusiastic, but he said, “Okay, if that’s what you want to do, go ahead.” I was then formally nominated by President Nixon to be Under Secretary of the Treasury.